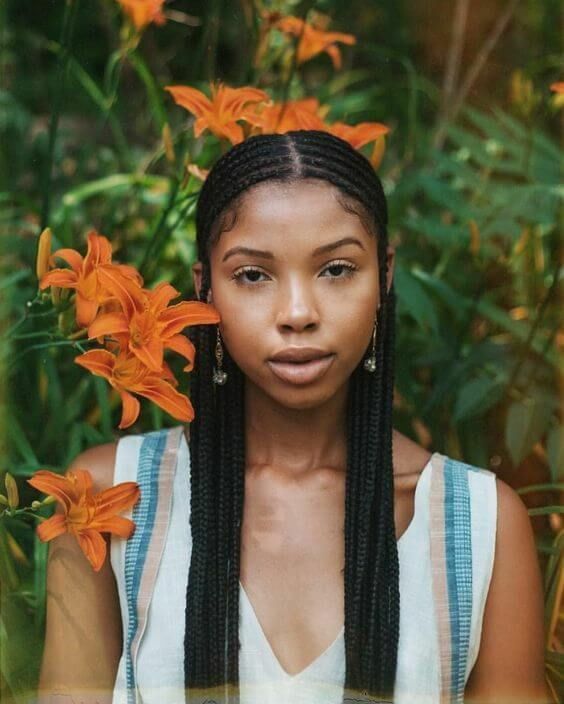 “I like my baby hair, with baby hair and afros” a cultural statement for women rocking natural hairstyles all around the world took the internet by storm in 2016. Beyonce’s video “Formation” was a glorious declaration of love for black hair. The Lemonade album visuals put curls, coils and baby hairs front and center of a vibrant, elegant and modern culture. Lemonade braids became an instant trend and built their way up into a braiding style. 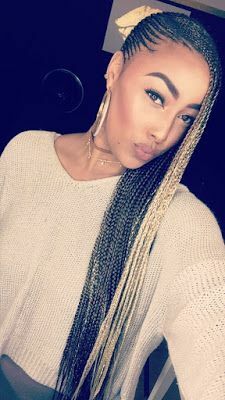 Lemonade braids are a long cornrow style characterized by side parts and closely threaded braids with minimum scalp revealed. A subtle and playful hairstyle. Color and super sharp zigzagged parts for when the season and the occasion calls for a hip style and you’re ready to rock it. Ready to slay? Earthy, sultry and gracious this lemonade braid is inspired by african fabrics and patterns. Hair rings add a touch of glow to highlight the length and volume of this style. 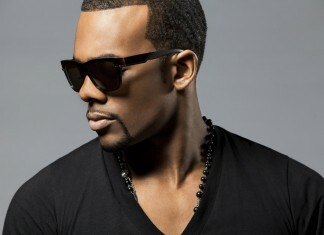 this hairstyle will work wonders on stylizing your facial features to the max. Asymmetry is a huge hair trend not easily achievable while wearing long hair, but this hairstyle pulls it out perfectly. Talk about edgy! 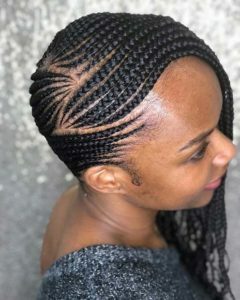 A marvelous razor shaped angle gives this hairstyle a unique flair. Thread in bleach hair bring in a little lightness for great balance. Nobody said you had to be more time in the hairdresser’s chair more than what’s due! 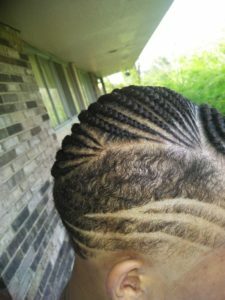 Chunky jumbo lemonade braids bring you the best of both worlds, the sleek sideways style with full volume while saving serious time. Side part and a lot of class! 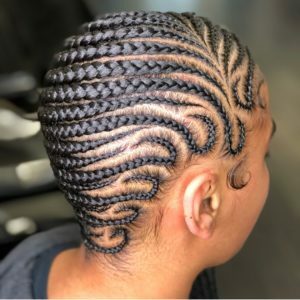 This full lemonade braid has a natural increasing volume braiding style. Suited for long wear periods when you want to keep your hair tucked away but still shining through! 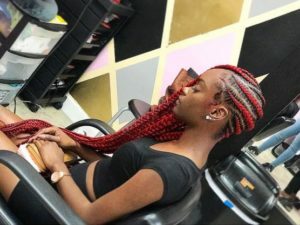 The red tips of this hairstyle won’t let the length of your hair go unnoticed. A thicker than usual styling is still not missing a beat from the lemonade braid styles. Make sure to pair it with great earings and a killer smize. 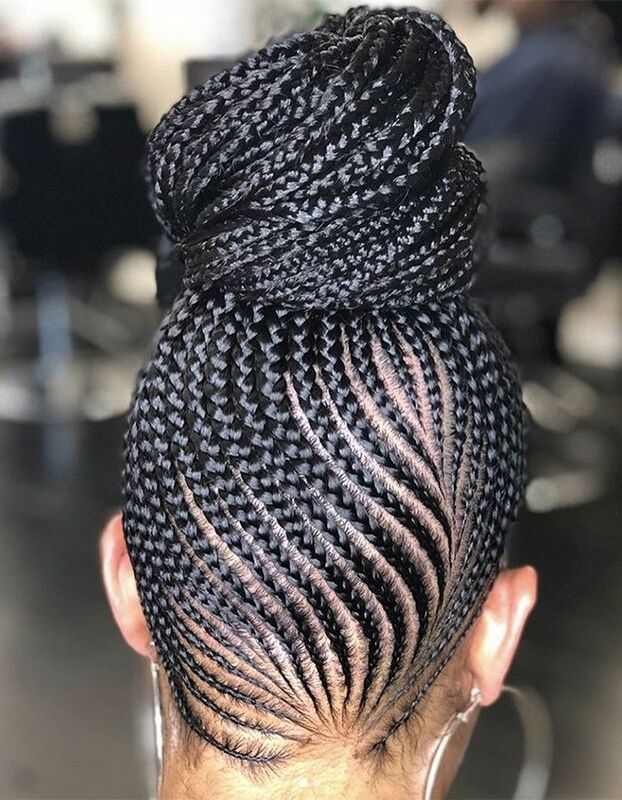 Elegant braiding style never cease to amaze us! 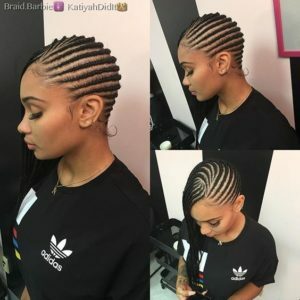 The lemonade braid concept applied to a high bun hairstyle is peak low manipulation and flair. an extra set of braids is necessary to achieve this full looking braid bun. 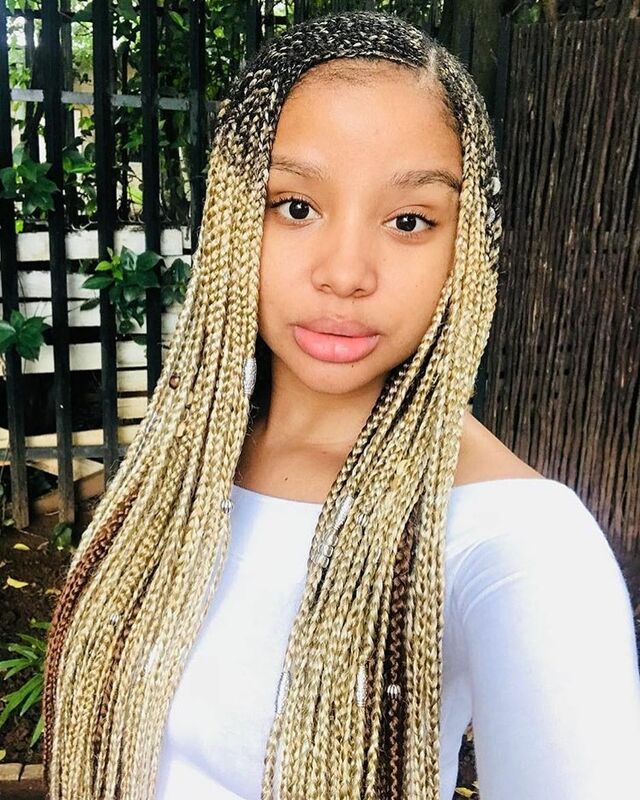 This lemonade hairstyle is giving us serious beach vibes. Maybe a cruise in your plans? 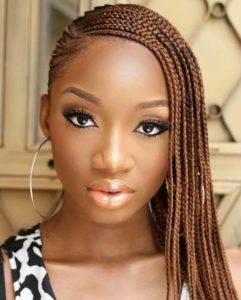 This laid back and subtle style gets your hair entirely off from your face while the long braids style frame and flatter your features! Perfect combination. Bring pulling and brushing routines to a halt. 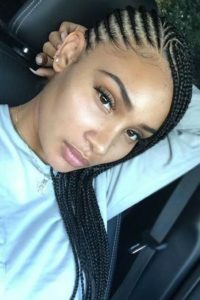 This lemonade braid high ponytail is able to give you a sleek look without having to straighten your hair. The high ponytail can be worn loose or in a bun for versatile and practical looks. 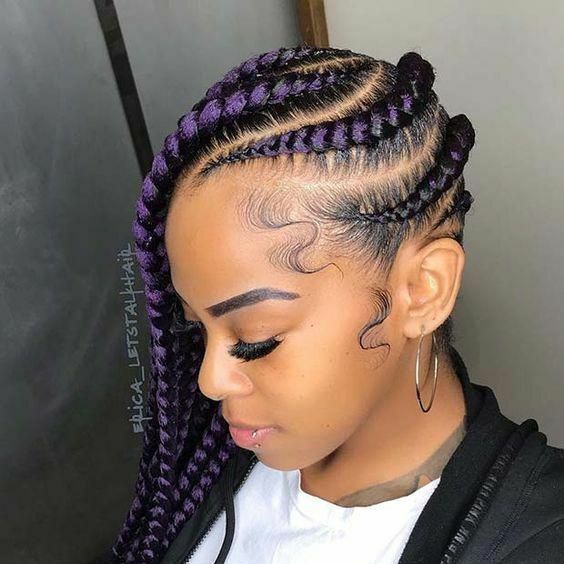 Simple details can add a lot to a hairstyle. These full side lemonade braids have an embroidered front thread that’s doing enough. 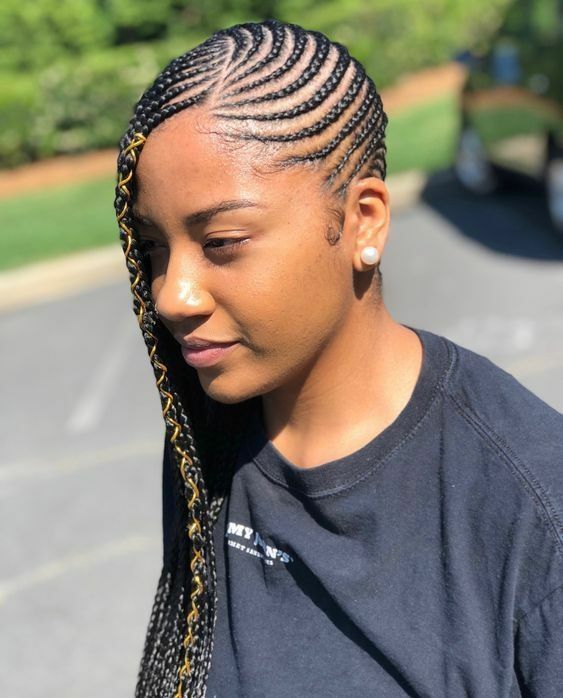 Down-to-earth and little upkeep, this style is perfect for college finals, traveling or any other busy season coming your way. 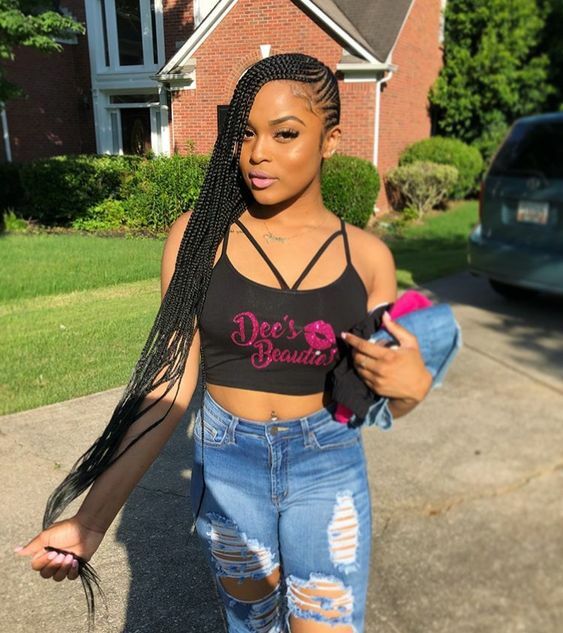 Make your hair stand out with this seductive hair color! 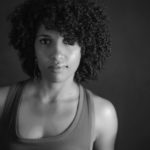 Sitting around the areas o 2 and 3 extension color, this style blends in perfectly with short natural hair. A lower amount of braids guarantees less manipulation hassle and might be a life savior on a warmer weather! Layers and layer of detail! This hairstyle is for when you’re feeling a little extra and fully committed to stopping the show. 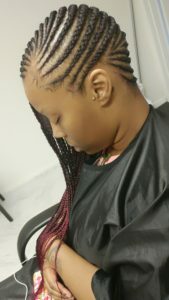 Thin to chunky braids, Red ombre extension, neutral tone beads. 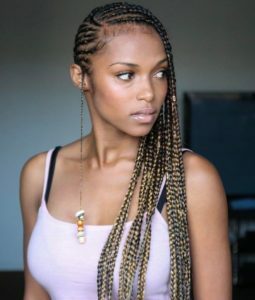 These lemonade braids have a lot going on, might be a great choice for a fashion event, concert or photo shoot! Provocative while simple, these lemonade braids can take you from class to a cocktail party. A simple crossed braid on front lets you show how much you pay attention to detail and create a tantalizing mood around you. 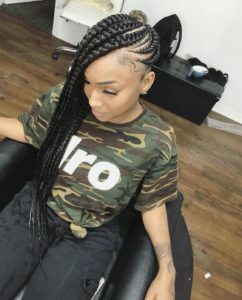 Love the lemonade braid style but worried about applying too much tension? 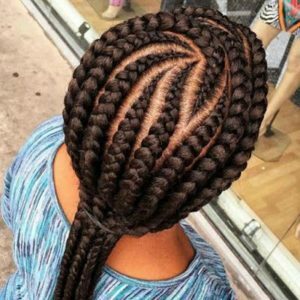 These simple, medium width lemonade braids won’t put so much stress on your hairline. With minimal scalp showing and a great color tone, these lemonade braids reminding us of the women of the Himba tribe. 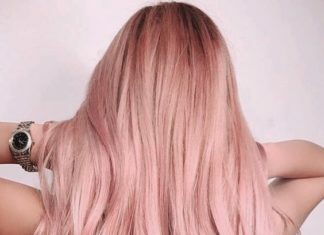 This hair color will highlight your skin features. Make it stand out even further with black and gold details of your outfit and makeup. 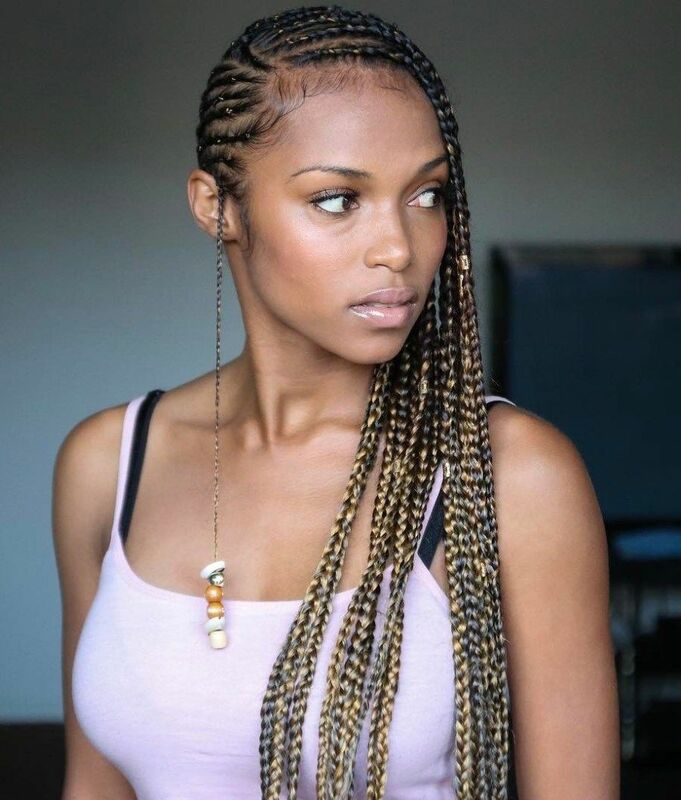 A mix between feed in and lemonade braids, this look is mid way between volume and definition. 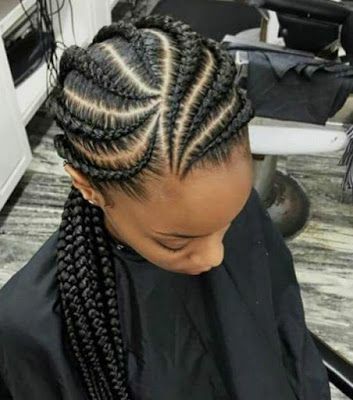 The way hair parts are set up it gives the illusion of movement with a smaller set of braids. Full length and a saturated scalp with blonde hair extensions. This is the lemonade braid at its prime. Stylish a remarkably urban, you can almost feel yourself doing rounds with your head out of the El Camino. 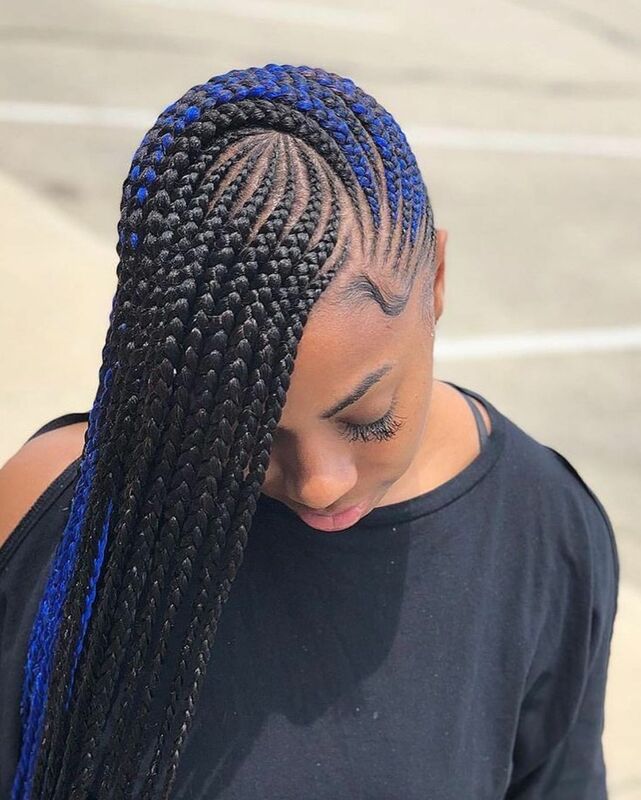 Get in formation with this style. 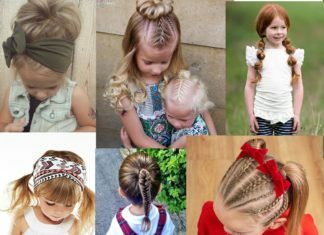 Simple and cute, this hairstyle perfectly adapts for teenage and younger girls. You can even play with hair extension length to make it more manageable without taking away much from the style. This is a bomb combination. 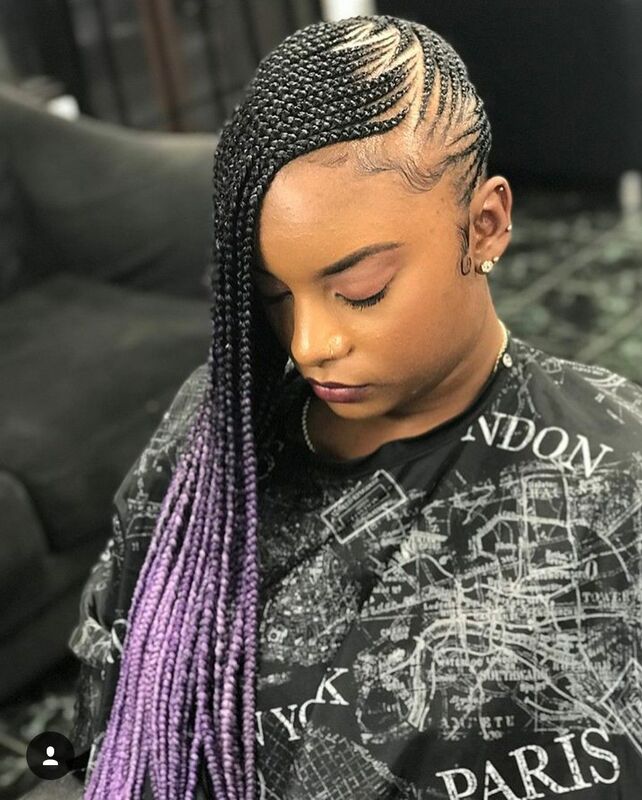 Razor shaved side will let you add up shapes and shades to your lemonade braids. 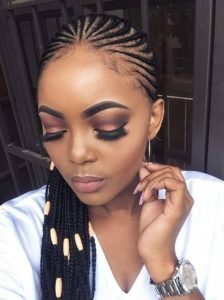 This hairstyle sits higher in the maintenance intensive style buy, why not!? 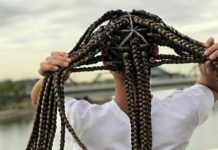 This lemonade braid is honestly more Solange than Beyonce. Natural and simple, this look shows a certain innocence, countryside, romantic personality. Long black hair showing its majesty. 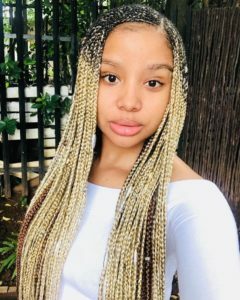 It’s all about making your hairstyle serve your features. 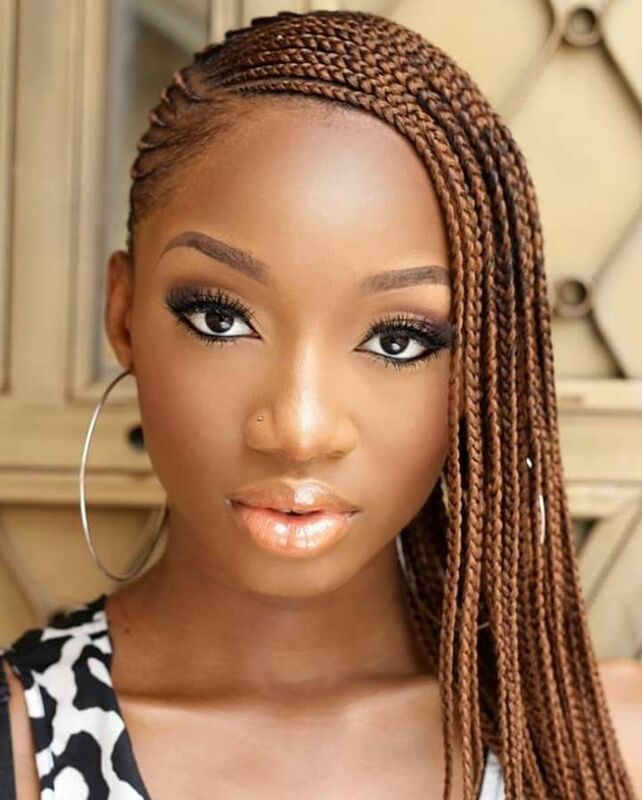 These lemonade braids gold threads are put specifically around the cheek area and frame the face beautifully. 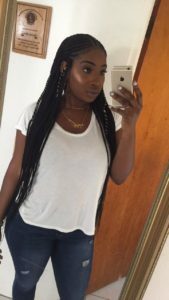 Been dying to try hip length hair? 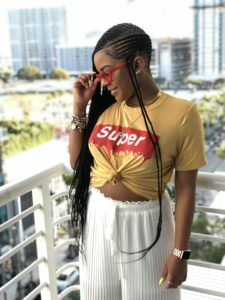 This might be the style for you! As a true fashionista would! 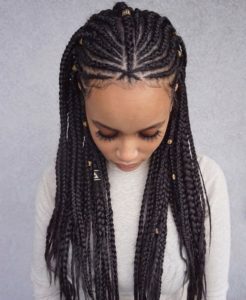 These lemonade braids have a great amount of volume and light. They are making a statement for fashion, elegance and pride. 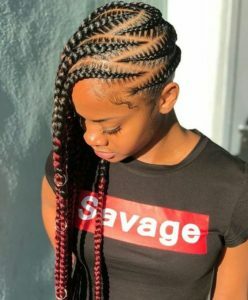 not your everyday lemonade braid, consider this hairstyle for photo shoots, parties and festivals. This hairstyle has a simple straight cornrow style, however! Hair parts and micro braids are perfectly put to create a stardust trail within your hair. We’re sure urban / hip-hop style girls will love the details in this! 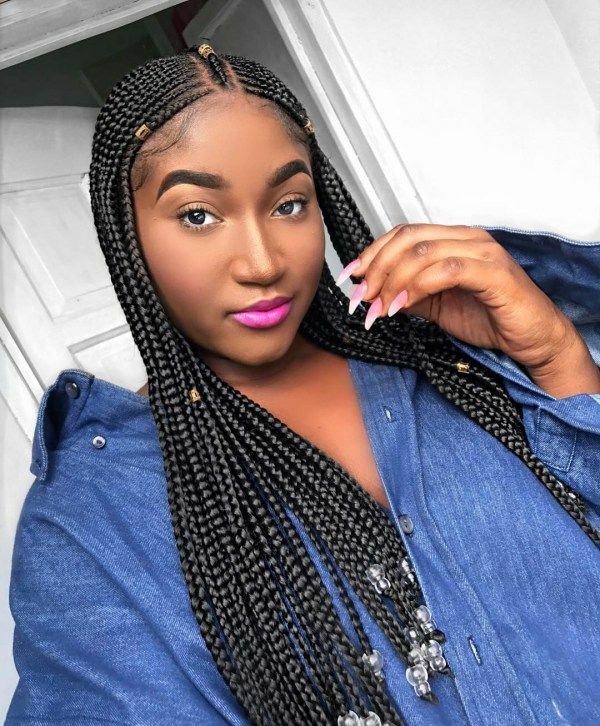 High contrast ombre and full volume lemonade braids. This is a great protective style for fall and winter season. 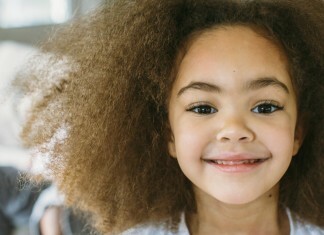 Always remember to moisturize and seal your tucked away hair to prevent damage. A couple of braids going the opposite direction can bring this hairstyle to a new stage. We love this full hip length look that’s still laid back. 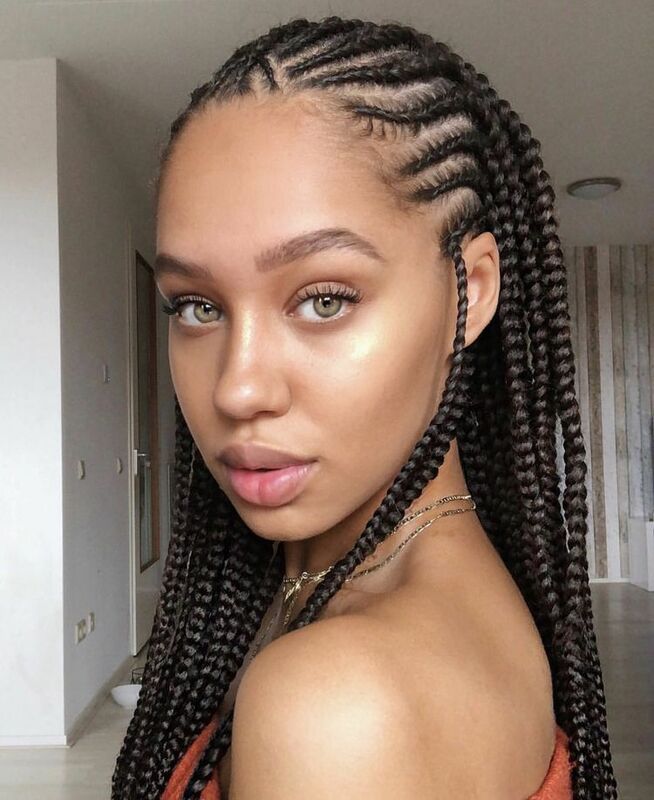 Braids can still be brought up to a low bun or a mega braid to switch it up a bit! Sleeeeek! 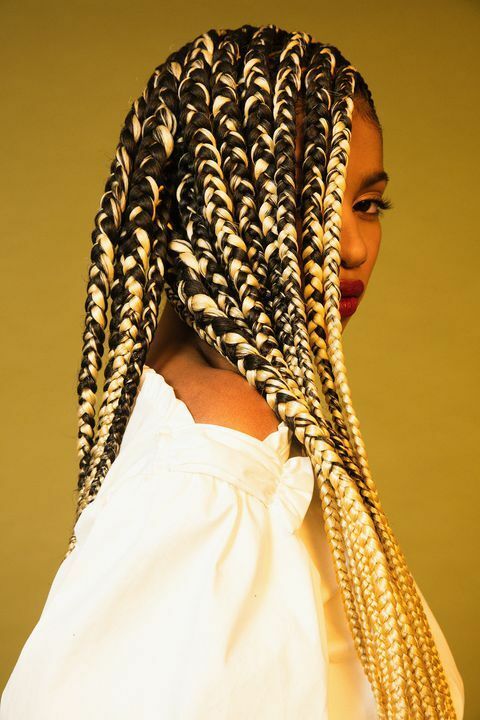 Lemonade braids with a futuristic vibe. What’s not to love about this? Blue ombre highlights and fuller looking braids. Baby hairs nice and laid complete this wonderful look. 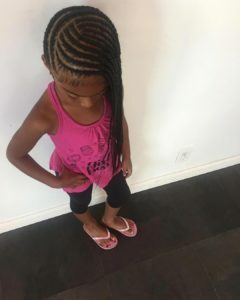 Braiding pattern is so tight and glossy in these lemonade braids they almost look like twists! We love the fuller looking trend, and the violet purple gives this look a rock / funky vibe. Flowy, perfect baby hairs for a romantic touch that, of course, reminds us of the Prince era. 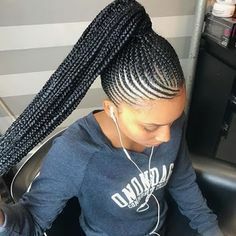 Lemonade braids into a natural sitting ponytail. There’s nothing ordinary about this look. 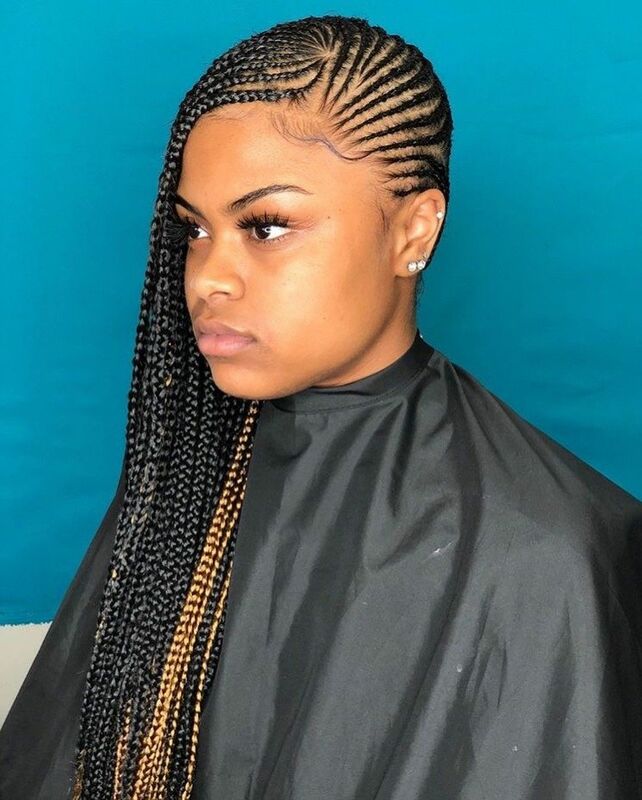 We love the visual effect of the arched cornrows and the beaded length. Be mindful that thinner braiding styles require you pay extra attention to your hairline to keep it healthy and frizz free. 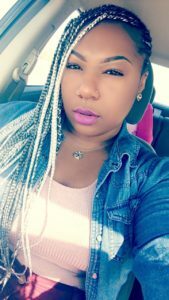 Single statement color lemonade braid. All praise this mighty style. 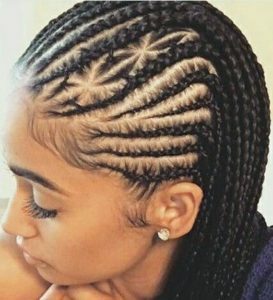 The zigzag parts and thin braids give so much fullness to this look. If you’re ready for a bold change of look, keep this in mind. If there’s something to love about the lemonade braids is its density. A cornrow style that can still provide full looking long braids. 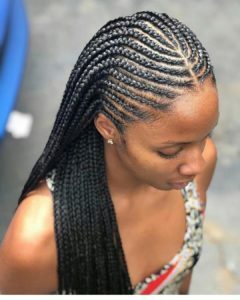 Flirtatious and risk taking, lemonade braids are on their way to becoming a top trend of protective styling. Queendom it is. A full vibrant style that takes advantage of symmetry to create and elegant vibe. Beaded tips add weight and character to your length. 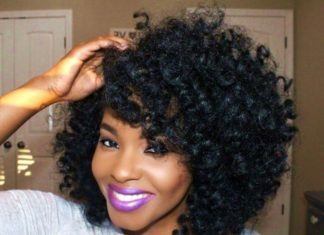 One great tip to maintaining this style is adding oil to your extensions before wrapping your hair for bed. 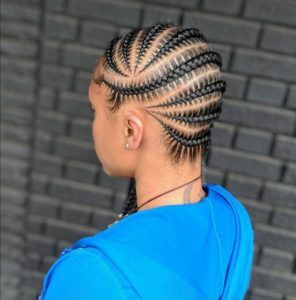 Match feed in braids into the side looking lemonade style (equals) perfection. 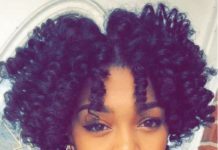 Definition is the cornerstone of this hairstyle. 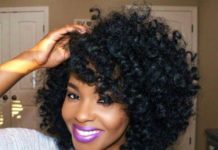 Perfect for curlier textures that might suffer a bit with natural hair untangling from their braids. Although less dense than the regular lemonade braid. This style compensated by great honey – color highlights that reflect the light and give the feeling of volume. Simple details like the beaded braid give it a chic look perfect for engagement parties, recitals and day time events. 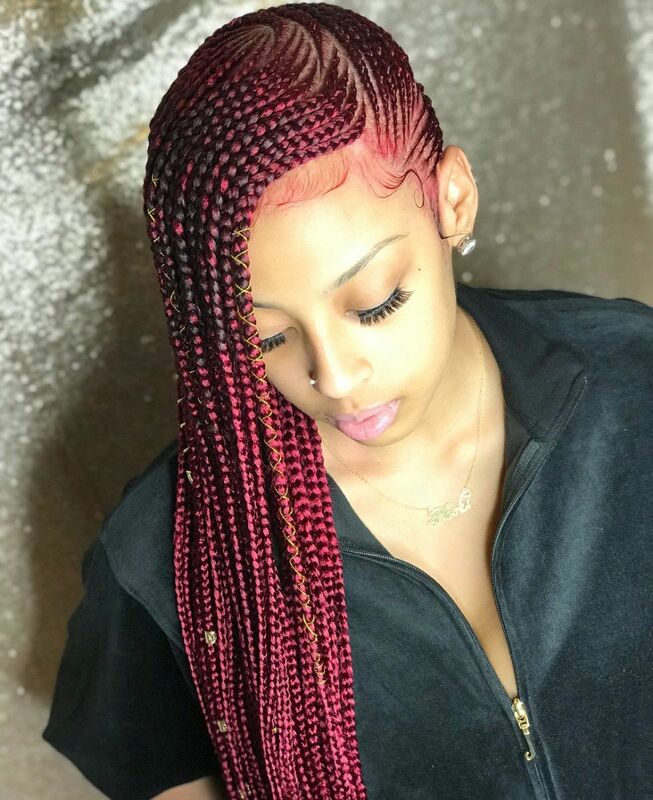 If you like bold colors these chunky red lemonade braids are stunning and chic to wear! 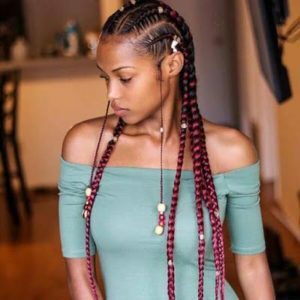 If you are looking for a fresh and clean look you should definitely try these skinny lemonade braids style! These lemonade braids start off dark and then blend into a burgundy tone. Jazz up your look with hair jewels or beads.